A group of girls’ footballers from Warwick are appealing for new team-mates in order to keep their side alive. Warwick Girls Under-nines are part of Warwick Juniors FC set-up and played in the Central Warwickshire Girls League last season, travelling all over the Birmingham area with six dedicated players. The under-nine league is five-a-side so they were able to fulfil their fixtures but they were forced to play some games with four players when illness struck. However, when the under-ten season kicks off later in the summer, the team will have to find at least one extra player as the matches now become seven-a-side. 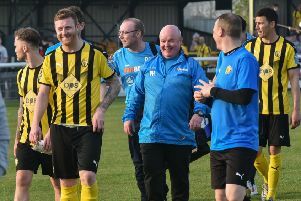 Manager Martin Young admitted after all their dedication, the players would be devastated if the team were forced to disband. “The players could go to another team but these girls have worked so hard to keep this team going and I cant just give up on them as their wish is to stay with the club and their friends,” said Young. “I want to get the message out to all to see if there are any interested girls out there wanting to join. The girls train every Wednesday (6.30pm to 7.30pm) at Newburgh Primary School in Warwick. Girls would need to be in school year 3 or 4 and willing to play on a Saturday mornings.